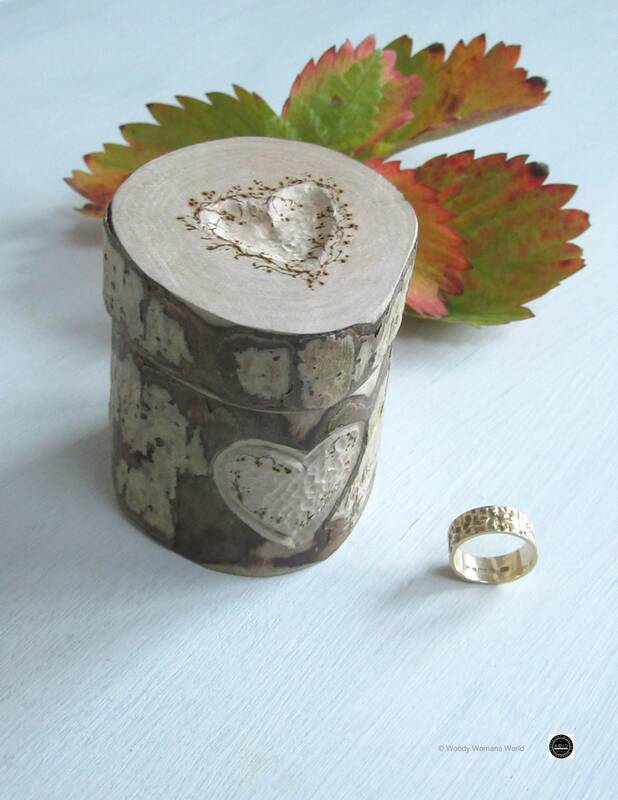 Harwood heart ring box made entirely by hand from locally sourced wood. Personalised if you wish, kindly select from the drop down menu. Size: Heart shaped with a depth of almost 7cm and 6 width at its widest point. Free 2nd Signed For shipping with speedy shipping alternatives at checkout. Gift Wrapped and also personal message and sent to recipient if you wish. 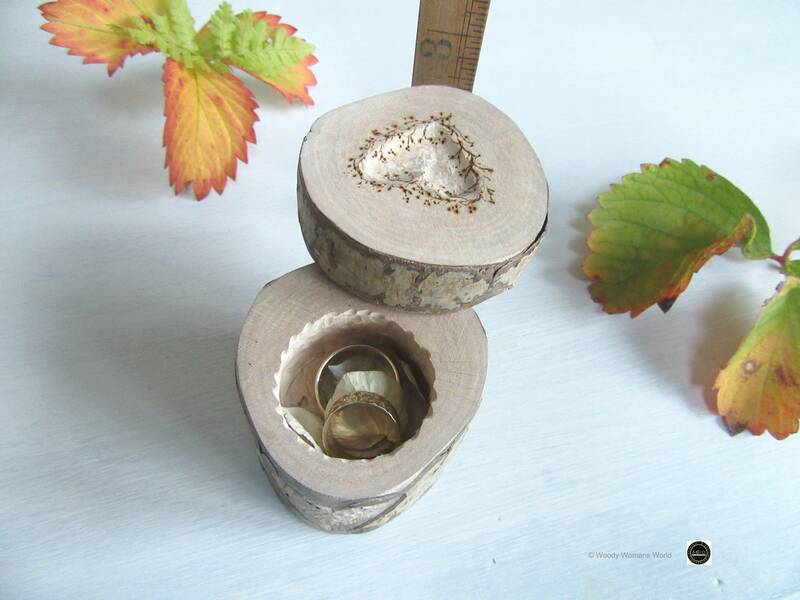 A beautiful ring box made entirely by hand in the heart of my little Welsh Cabin with no complex tools only adding a sprinkling of love and a heap of passion to the kindly donated wood that has now become a ring box. 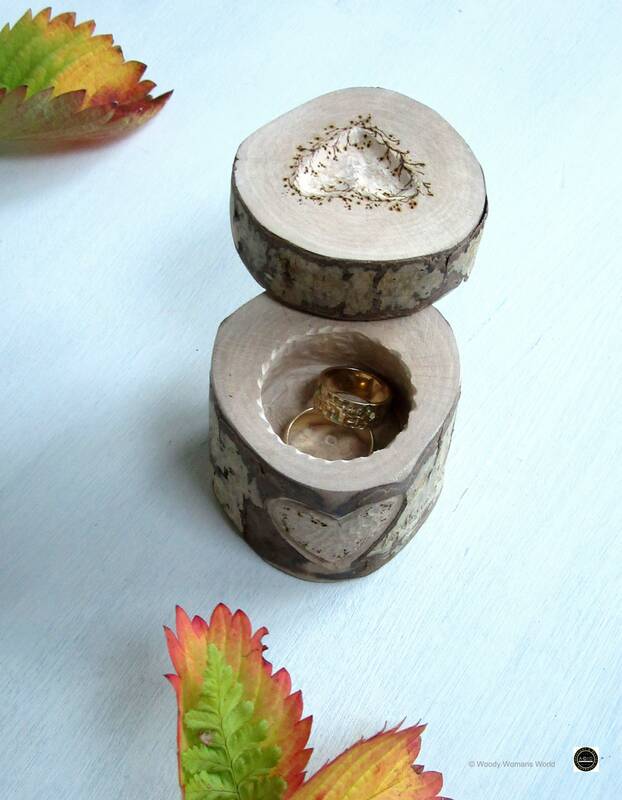 About this littlw ring box. 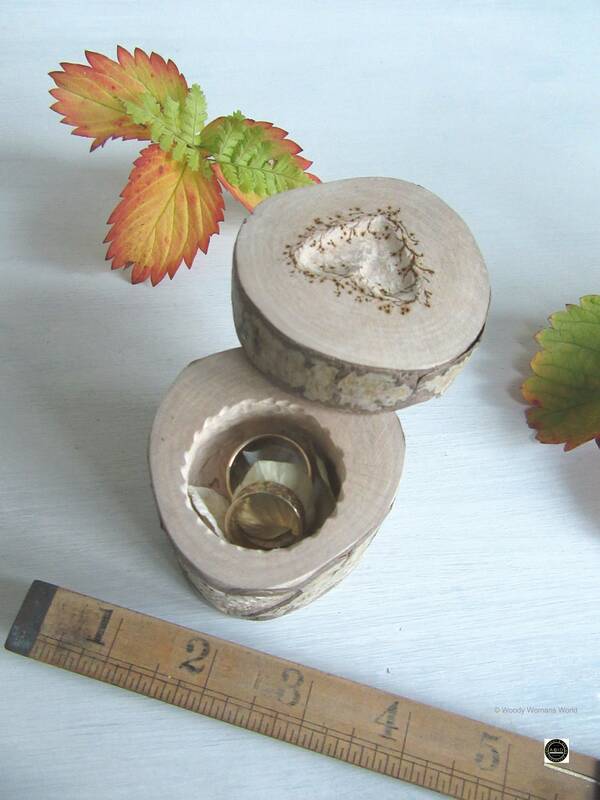 They are hardwood ring boxes made from wood harvested in my village after some responsible tree management. 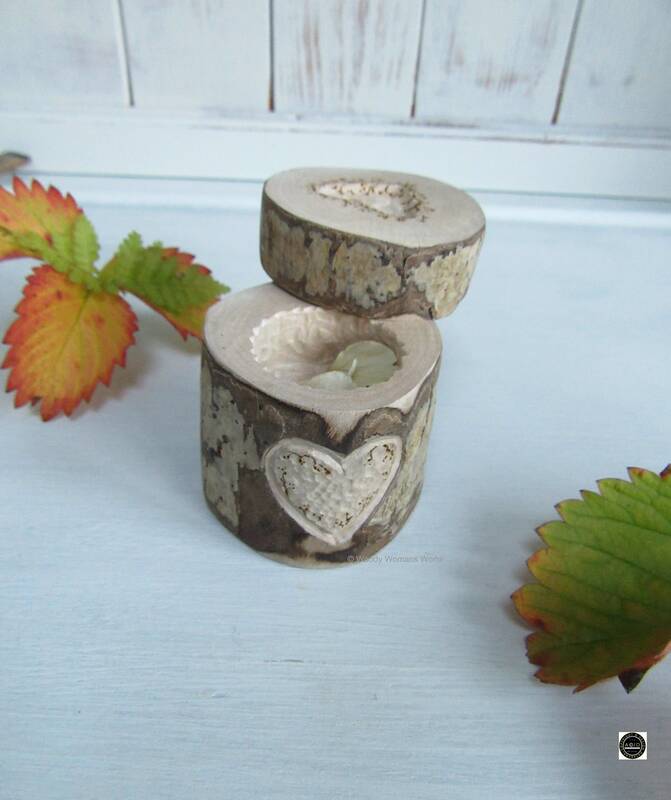 Size of wooden ring box stands approx. 7cm and 5cm at its widest point. All ring spaces are hand cut so are not perfect adding to its charm. Size of the circular ring space is approx. 3 dia and 1.5cm in depth but can be deepened if required. 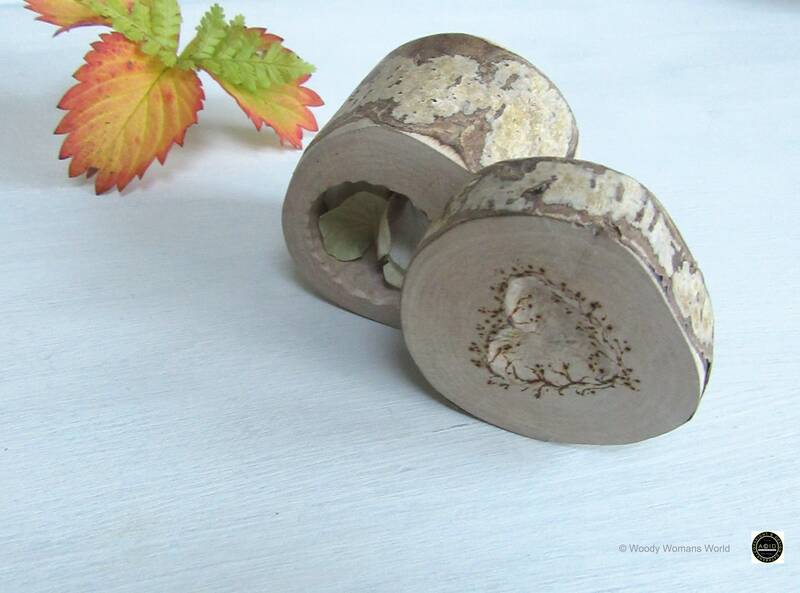 The ring space has a delicate fluted carved edge whilst the top has a deeply carved heart with organic details. The heart on the front of the box can be personalised with initials. The top swivels snuggly by means of a discrete wooden dowel and left natural. The pressed flowers are included for presentation however you may have moss if you prefer, kindly select from the drop down menu. kindly contact me with your requirements if you wish to add some alternative details. The jewellery is for display only.